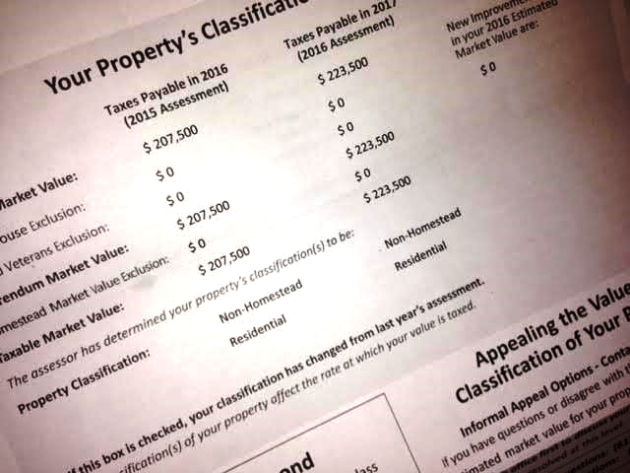 Almost 3,000 Minneapolis homeowners last week were sent incorrect property assessment notices for next year’s property taxes due to an operator error at the mailing firm to which the city outsourced the job. The errors occurred as the first 20,000 notices were being mailed by the Streamworks marketing communication firm of Arden Hills, according to an e-mail sent by the City Clerk’s office. The mailing address on the front of the 2,989 incorrect notices didn’t match the parcel for which information was provided. Company President Tony Zirnhelt attributed the mistake to an employee not following proper procedures when switching from one printing machine to another. The city said the error could have been worse. The mailing of another batch of 70,000 assessment notices scheduled for last Friday was delayed due to a different printing issue. That meant that the problem was noticed before those notices were sent, the city said. But Zirnhelt said that’s incorrect because the notices are processed in batches of 5,000, so any mistake would have been limited to that amount. He said he’s awaiting city direction on processing the remaining notices and correcting those with the mismatches. The notices are an important first step for property owners because they show the estimated value of a parcel as of early 2016. That’s the figure on which 2017 taxes will be levied, unless a property owner successfully challenges an assessment. Corrected notices should be received by taxpayers in about two weeks, the assessor’s office said. The city learned of the mistake when the clerk and assessor offices got calls first thing Monday from puzzled taxpayers. In one case, a taxpayer got a notice intended for another residence about 10 blocks away. People affected by the error may call 612-673-2341 to reach the city assessor’s office.